MAP stand - CMM probe storage stand - CMM Inc. The MAP (manual autojoint probe) stand is a low cost storage rack capable of holding up to six autojoint mounted probes and extension bars. The MAP stand can be mounted directly onto the table of a CMM (or any suitable surface) using the appropriate socket head bolt which is passed through the centre of the base. 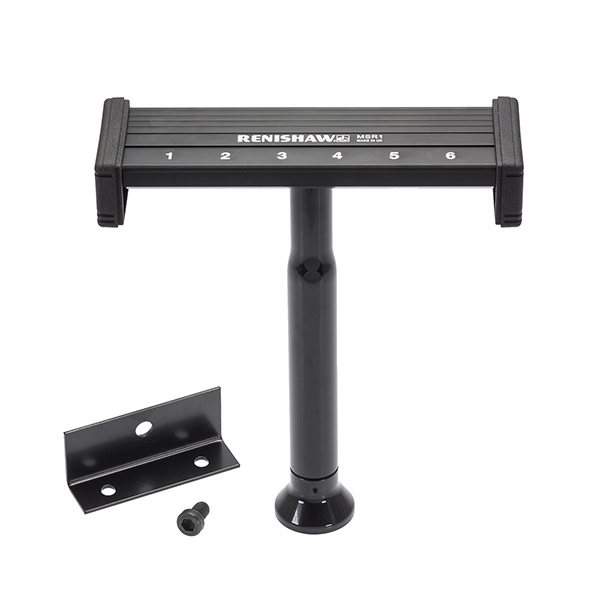 Standard autochange rack legs (100 mm and 200 mm long) are compatible with this stand and can be stacked to accommodate longer probe extensions and styli. A wall mounting bracket is available to enable the stand to be mounted on a cabinet, wall or any vertical surface. A 3-year warranty is available for your new CMM products during the first 3 months from purchase.